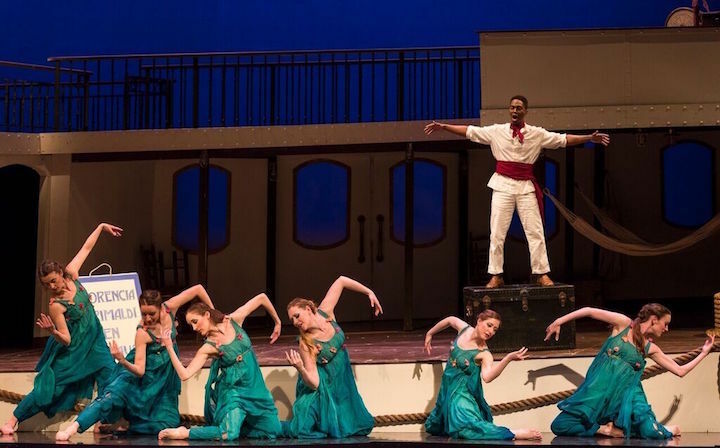 I looked forward enough to Madison Opera’s premiere production of Daniel Catán’s Spanish-language “Florencia en el Amazonas” that I attended both performances at Overture Hall this past weekend. Based on repeated hearings of the recording and numerous favorable reviews of other productions, I was fairly certain that I would be in for a treat. I was not disappointed. The action takes place on a boat on the Amazon heading for Manaus where the title character Florenica (below), an opera singer of high repute, is to perform. Other passengers (below), unaware of her presence onboard, also have the opera house as their destination in order to hear her sing. Rosalba, her unauthorized biographer, and Paula and Alvaro, a bickering older couple, are joined onboard by the Captain, his nephew Arcadio, and a Puckish character Riolobo, who acts as narrator and supervises the magic in this tale of magical realism. The boat (our life) floats along the Amazon (life itself) in this parable of longing, regret, the fickleness of love, love lost and regained, and transformation. Aiding in the unfolding of the tale are water sprites, referred to at times as Amazons. Six willowy dancers from the Kanopy troupe did not seem particularly Amazonian, but their waving of billowy fabric evoked the river and their retrieving twice from the water careless Rosalba’s precious manuscript added to the magic. And, in the end, just when you think that all conflicts have been resolved and love is at hand, the boat reaches Manaus only to find it impossible to make landfall due not only to cholera but also to rabies, scurvy, leprosy and beriberi. Florencia’s transformation into a butterfly (below) ends the voyage. This odd but magical plot is a vehicle for lush, rhapsodic music by a Mexican composer whose life ended too soon. The orchestral and vocal writing featured soaring melodies, which at times reminded me of Puccini had his life extended further into the 20th century. The orchestral writing continually evokes the river and flowing water, reminding me of music of the Impressionists. John DeMain ably led the wonderfully sounding Madison Symphony Orchestra. He once again proved himself to be a master of pacing, tempo and dynamics. The opera was very evenly cast. Nmon Ford (below top on right), as Riolobo, had a rich baritone voice and an impressive physicality. 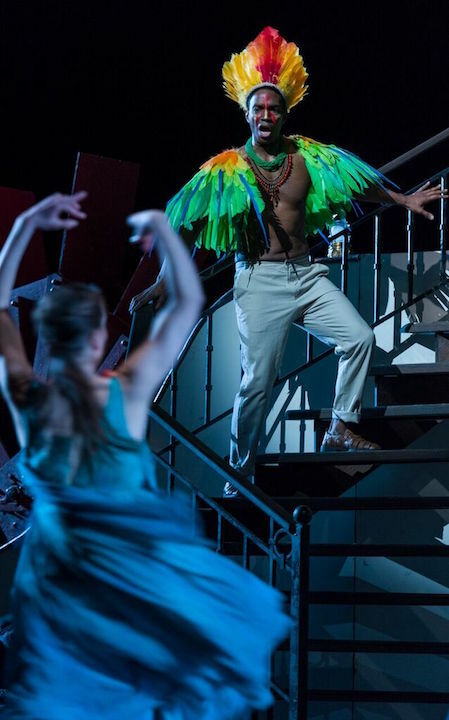 His transformation at the end of the first act into a feather-clad river spirit (below bottom) was hypnotic. 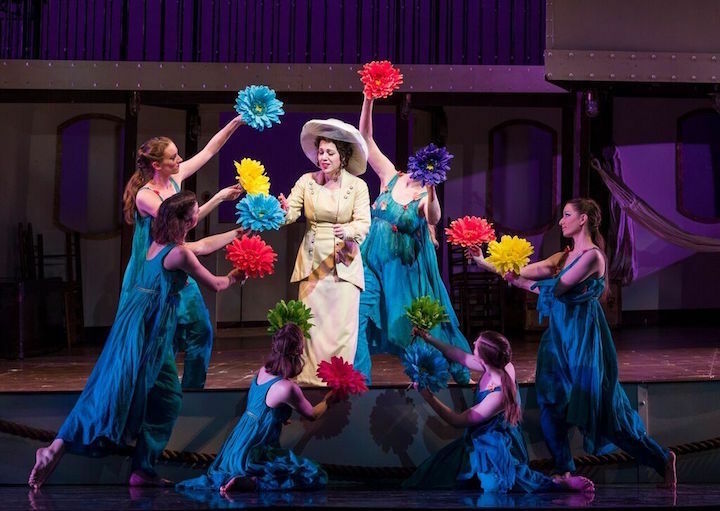 As Rosalba, Rachel Sterrenberg (below, top right), who made a memorable appearance last season as the wife Chan in “Charlie Parker’s Yardbird,” was a soprano of great flexibility who rendered her character’s opulent melodic lines with mounting ecstasy. Hers was a thrilling performance. 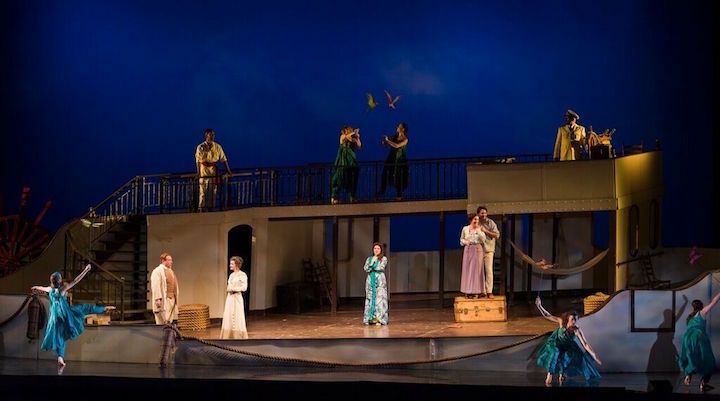 Her foil, full-voiced tenor Mackenzie Whitney (below, bottom left) as Arcadio, produced some of the most Puccini-like moments of sheer soaring lyricism. Their duets, including a rather dark anti-love duet, were highlights of the work. Catán’s writing for mixed voices is inspired, and all of the ensemble numbers – duets, a quintet, a septet – are entrancing. 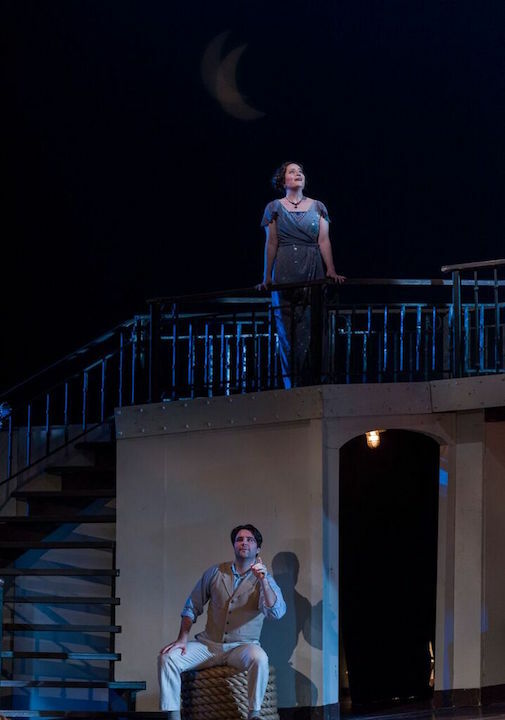 Baritone Levi Hernandez as Alvaro and mezzo-soprano Adriana Zabala as his wife, Paula, had moments of bickering and moments of tenderness. His robust vocalization perfectly complemented the creamy richness of hers. Zabala’s second act lament was very touching. 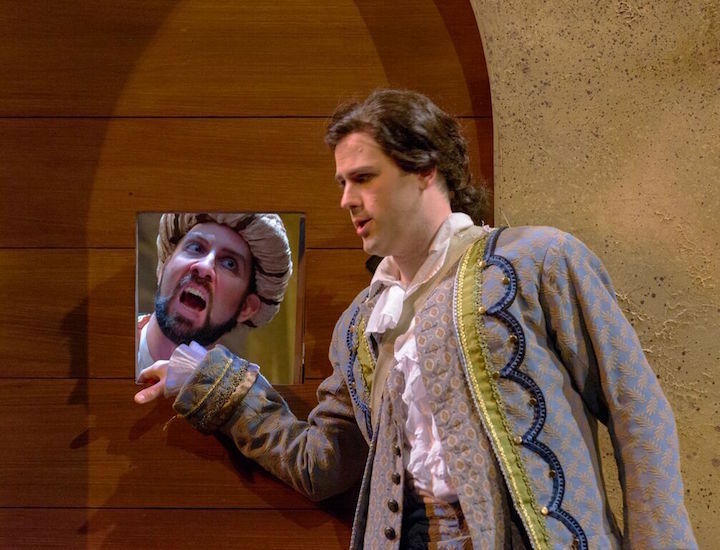 Bass Ashraf Sewailam, in his debut appearance with Madison Opera, produced some of the best singing of the show. He was both profound and lyrical with a total lack of affectation. His acting was subtle, and his outstanding performance demands his return. Elizabeth Caballero as the diva Florencia Grimaldi was impassioned, focused yet fluid, sumptuous and rapturous. Her ravishing singing, particularly during her metamorphosis — heard in another production in the YouTube video at the bottom — was truly moving. The set, lighting, projections and costumes were all understated and perfectly blended. The only false step was what appeared to be coffins flying through the air out of Manaus. It took me a moment to realize they were intended to be floating in the river. The audience seemed enchanted and moved by the opera. I was, too. Let’s have more works like this. 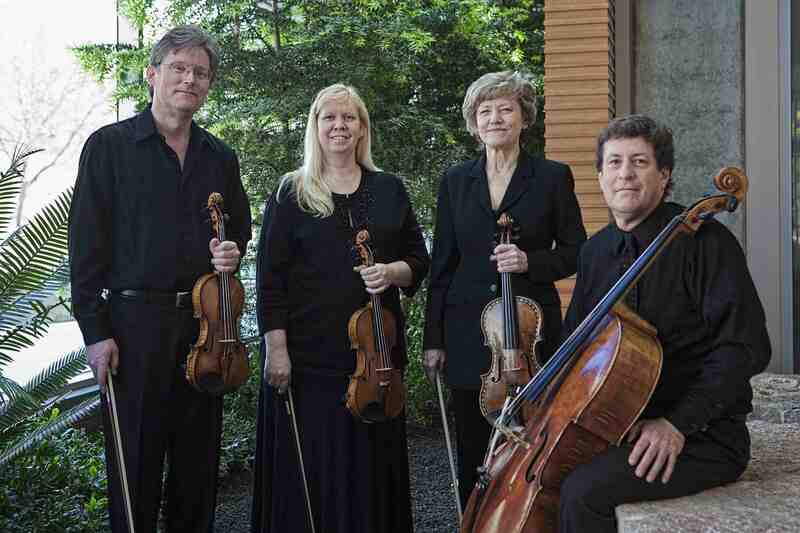 FRDAY ALERTS: This Friday’s FREE Noon Musicale at the First Unitarian Society of Madison, 900 University Bay Drive, features Eric Miller playing the viola da gamba in a recital of early baroque music by Marais, Forquery, Sainte-Colombe, Abel, Hume and Ortiz. 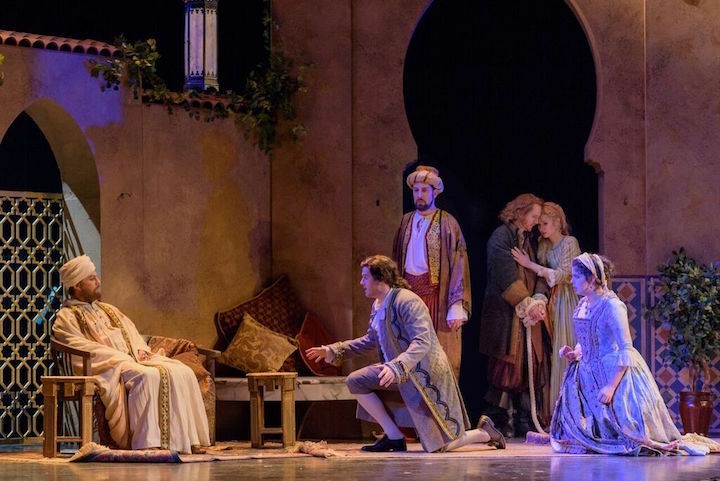 The concert runs from 12:15 to 1 p.m.
On Sunday afternoon, I attended the second and final performance of Madison Opera’s production of Mozart’s “The Abduction from the Seraglio” in the Capitol Theater of the Overture Center. The orchestra, drawn from the Madison Symphony Orchestra and ably led by maestro John DeMain, was situated backstage. This was an effective novelty, although the sound was somewhat muffled, at least from where I sat in mid-orchestra. The dialogue was in English while the singing was in German with English supertitles. I looked over the lengthy original libretto and was thankful that it had been heavily abridged for this two-hour production. It had also been updated to be both hip and politically correct about Islamic culture and Turkey, where the story takes place. But it made me idly wonder what the reaction would be if the music had been likewise updated to be more in tune with the times. The production was all about the singing. 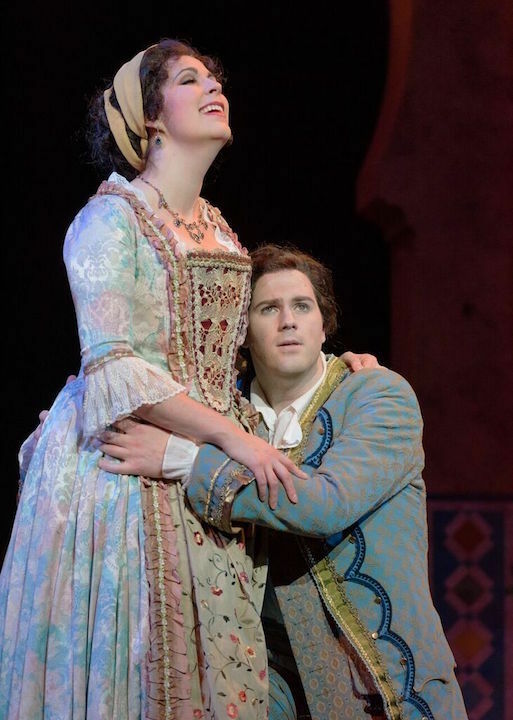 David Walton’s Belmonte (below right, with Amanda Woodbury as Konstanze) was beautifully sung, particularly in the second act. He has a Benjamin Britten tenor voice with remarkable breath control. Eric Neuville’s Pedrillo was also admirably sung. Neuville is an accomplished comic actor, as well. Ashly Neumann’s singing as Blonde (below center, with women of the Madison Opera Chorus) was clean, clear and bell-like. 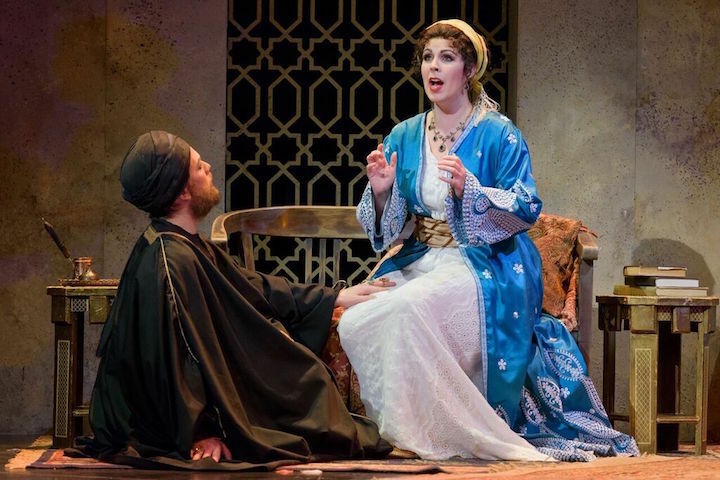 Amanda Woodbury as Konstanze (below right with Brian Belz as Pasha Selim) was virtuosic. She displayed vocal fireworks several times and was especially effective in her lament toward the end of the first act. The well-prepared chorus appeared briefly in each act, adding some color and motion to the production. Musically and visually the production was a success. The audience responded with 19 ovations during the performance – yes, I counted. 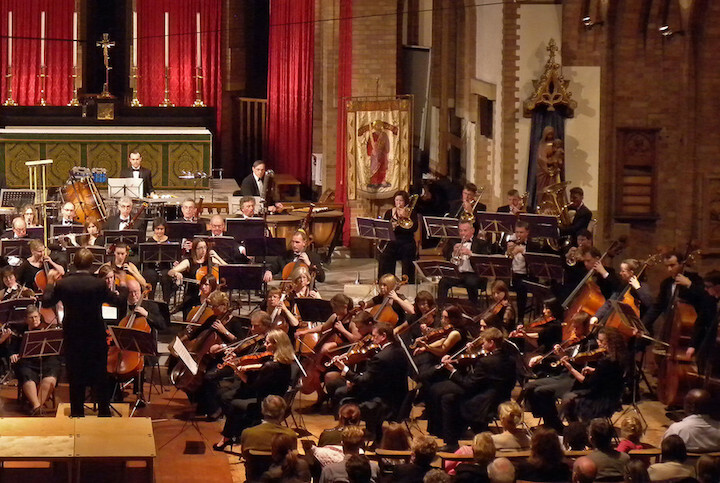 Every time the orchestra reached a cadence and paused, the audience members applauded as if they were at a musical. With the incessant coughing throughout the performance, I felt like I was at a performance of “South Pacific” in a tuberculosis ward. The audience leapt to its feet at the end, and this made me wonder what it was that they found so praiseworthy. The story itself is inconsequential and has little relevance to life today. The singing was very good, but this is not La Scala. I concluded that the opera is unalarming, unthreatening, and simple. This is perhaps what people long for in these trying times. 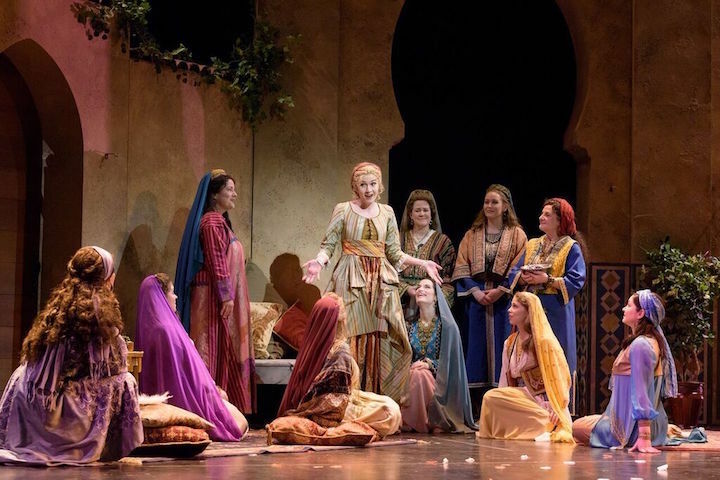 I do look forward to the Madison Opera’s production of Daniel Catan’s “Florencia en el Amazonas” this spring. Based on repeated hearings of the recording, I guarantee that Madison will be in for a treat. And there is nothing threatening or alarming or complex about the music, despite it being a work of the late 20th century. ALERT: This Sunday afternoon from 12:30 to 2 p.m., “Sunday Afternoon Live From the Chazen” will feature Madison keyboard artist Trevor Stephenson performing on a restored 1855 Boesendorfer grand piano. The program includes music by Chopin, Granados, Brahms, Wagner, Bartok, Debussy, Schoenberg and Satie. It’s that time of the year again when music groups announce their new seasons. And it seems to The Ear that the word “warhorse” is again being tossed around a lot, especially by experienced listeners who use the term pejoratively or disapprovingly, in a snobby or condescending way, to describe great music that is performed frequently. But more than a little irony or inaccuracy is involved. 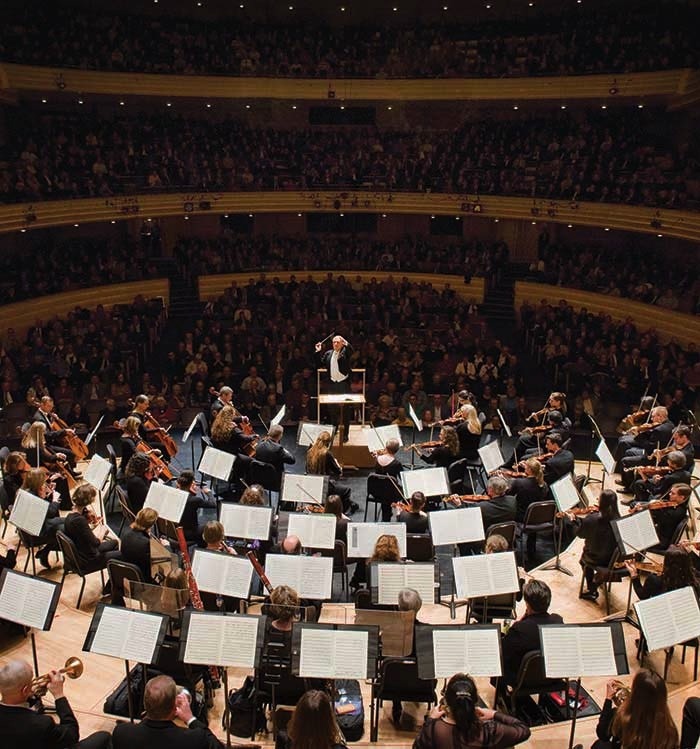 For example, a some people have referred to the Symphony No. 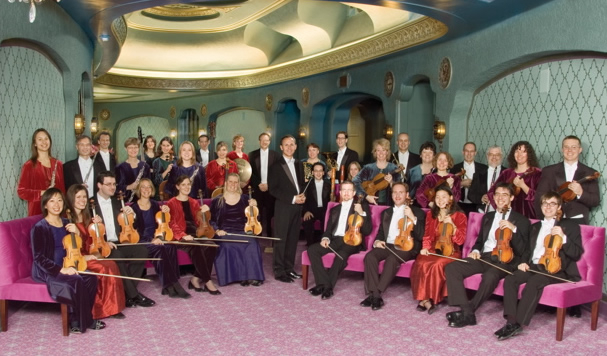 1 by Johannes Brahms – scheduled next season by both the Madison Symphony Orchestra (below) and the Milwaukee Symphony Orchestra — as a warhorse. 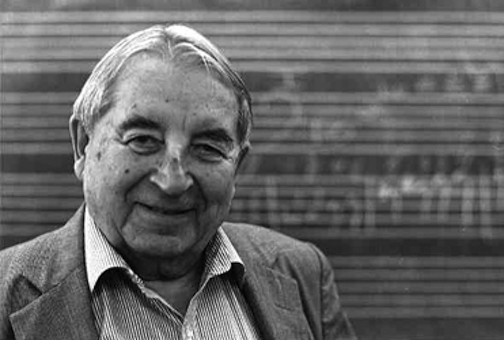 Yet The Ear has heard that symphony performed live only once – perhaps because programmers wanted to avoid the warhorse label. So yes, I don’t care what more sophisticated or experienced listeners say. I still find the Piano Concerto No. 1 by Peter Tchaikovsky to be a beautiful and thrilling work that rewards me each time I hear it. It never fails. 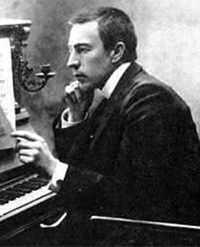 Add to the list the popular symphonies of Beethoven and Brahms, the “New World” Symphony by Antonin Dvorak, several piano concertos by Sergei Rachmaninoff (below), the Brandenburg Concertos by Johann Sebastian Bach, the “Jupiter” Symphony and Symphony No. 40 in G minor by Wolfgang Amadeus Mozart. And one could go on and on. They are all great masterpieces more than they are warhorses. Plus, just because a piece of music is new or neglected doesn’t mean that it is good or that it merits a performance. Otherwise, you could easily spend the rest of a life listening to second-rate and third-rate works out of curiosity and never feel the powerful emotional connection and deep intellectual insight that you get with a genuine masterpiece that rewards repeated hearings. Of course, some warhorses do leave The Ear less than enthusiastic The “1812 Overture” comes immediately to mind. Boy, do the crowds like that potboiler — on the Fourth of July, of course, when it has a traditional place. But often enough your warhorse is my masterpiece, and I want to hear it without being thought of as a philistine. It might even be that playing more warhorses — not fewer — will attract some new audience members at a time when music groups face challenges in attendance and finances? It may not be cool to say that, but it might be true, even allowing room for new and neglected works that deserve to be programmed for their merit — not their newness or their neglect. So-called “warhorses” have usually survived a long time and received many performances because they are great music by great composers that speak meaningfully to a lot of listeners. They deserve praise, not insults or denigration, as well as a secure and unapologetic place in balanced programming. Of course, it is a matter of personal taste. Are there favorite warhorses you like? Are there warhorses you detest? Leave word in the COMMENT section. 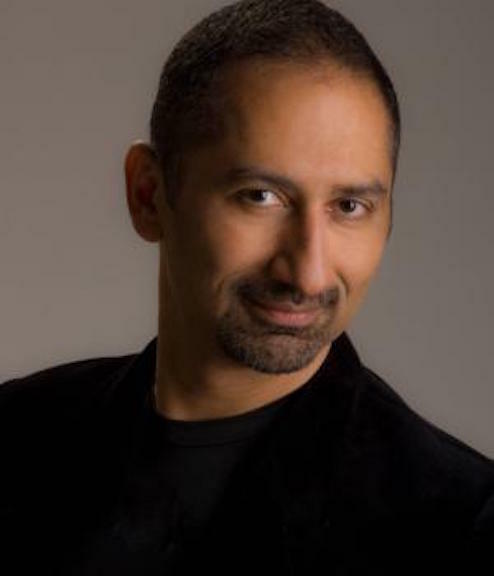 ALERT: This week’s FREE Friday Noon Musicale at the First Unitarian Society of Madison, 900 University Bay Drive, features pianist Mark Valenti playing music by Szymanowski, Brahms, Debussy and Mendelssohn. The concert runs from 12:15 to 1 p.m. But The Ear stumbled on it and finds it no less compelling or convincing because it is a couple of years old. Researchers say that musicians run four times the normal risk of hearing loss. But they also point to things that can be done to lessen the risk. Whether you are a professional musician, an amateur musician or an avid listener, you might want to read about this research.